It’s a project that the Government of Alberta and federal government have been trying to bring into reality for years while facing heated opposition from protesters, with many Indigenous people leading the charge. Throughout March, protests, rallies and marches have been held in order to raise awareness of the impact the Trans Mountain pipeline expansion by the Canadian division of Kinder Morgan, a Texas-based oil and natural gas company, will have. The implementation of the pipeline would increase the number of oil tankers travelling in the ocean waters shared between Canada and Washington state. It would nearly triple the flow of oil from Canada’s tar sands to the Pacific Coast. The pipeline project was approved in late 2016 by Prime Minister Justin Trudeau, who said it was in Canada’s best interest to move forward with the pipeline expansion. It would carry oil from near Edmonton to a terminal in Burnaby, B.C. — a suburb of Vancouver. Vessels would then travel through the Haro Strait near near Washington state’s San Juan Island and on to the Pacific Ocean. Leading thousands of demonstrators during a march in Burnaby on March 10 were elders and spiritual leaders from Coast Salish Nations and many other Indigenous peoples, with support from environmental and grassroots organizers. The crowd marched towards a site near Kinder Morgan’s storage tank farm in Burnaby to the beat of drums and chanting. “We cannot sit by idly and let this project go with the way it would threaten our livelihood, our lives, our territories, our waters and our culture,” said Dustin Rivers, a Squamish Nation leader to the Associated Press. Activists, led by Kanahus Manuel, an Indigenous activist from the Secwepemc Nation in central B.C., will also be building tiny homes to be erected along the pipeline’s route in an attempt to assert Indigenous sovereignty. The proposed pipeline plan has it crossing over First Nations reserves. The National Energy Board (NEB) recommended the approval of the pipeline in 2016, with however, 157 conditions. The NEB said the project was in the public’s interest, but at the same time it would increase greenhouse gas emissions and the oil tankers and other marine vessels related to the project would have “significant adverse effects” on endangered southern resident killer whales. The group currently supports 15 Nations on campaigns, including Pull Together – Stop Kinder Morgan. They have currently raised $625,000. “The Kinder Morgan pipeline and tanker project does not have the consent of First Nations or of British Columbians. Whether it’s oil spills that can’t be cleaned up, orcas that will become extinct, bad economics that risk jobs, running roughshod over Indigenous rights, or increasing carbon emissions in the age of runaway climate change, an approval of this project is the wrong direction for our region and our world,” reads the page to raise support against the pipeline. 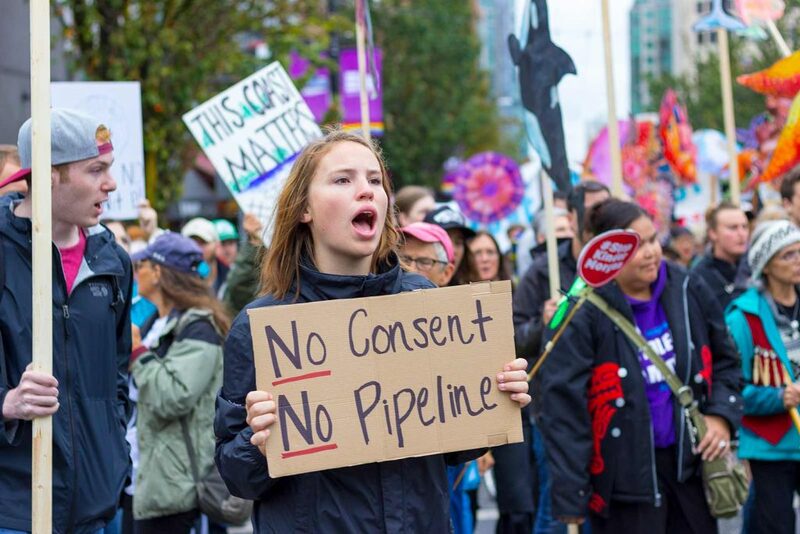 On March 23, in B.C., federal Green Party leader Theresa May and federal New Democrat MP Kennedy Stewart were arrested at another protest against the pipeline. “I will continue to stand in solidarity with the First Nations on whose land these acts of vandalism are now being committed. 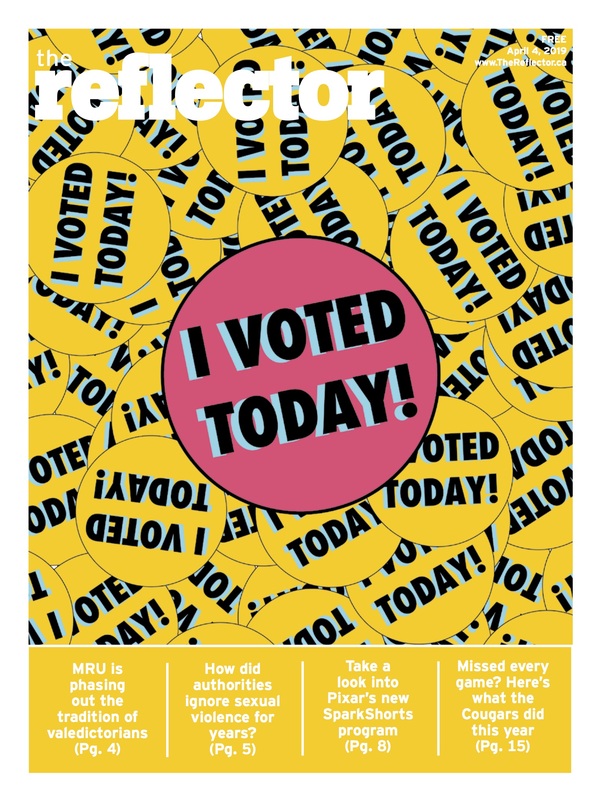 Non-violent civil disobedience is the moral obligation of the climate-aware, responsible citizen,” said May, according to the National Observer. Nearly 100 people were taken into custody along with May and Kennedy for violating a court order which prohibits activists from getting within five metres of Kinder Morgan’s two terminal sites on Burnaby Mountain, where work related to the pipeline expansion is ongoing. On the same day, the protests were brought a little closer to home, when over 100 demonstrators both for and against the pipeline expansion gathered outside of MP Kent Hehr’s office in downtown Calgary. At around the same time, a small number of five protesters — members of the advocacy group Climate Justice Edmonton — staged a sit-in at Kinder Morgan’s office inside the Stock Exchange Tower, also in Calgary. “We want to amplify the voices of many First Nations and communities along the route who are standing up to defend their land and water,” said Hannah Gelderman, spokeswoman for the group to CBC Calgary.